HiFlex 3/4 in. Universal Square Buckle Replacement Collar Straps. $6.99. The collars fit perfectly. My order was received when promised. Fits my Garmin / Tri-Tronics receiver just like I wanted. Works great with my Sport Dog 1825. Tough and durable. I bought this to use on a Garmin/Tri-Tronics Pro 550, and it fits the receiver just like the factory collar and is as high quality the factory collar. The collars are great! Work perfect with our SportDog receiver. Gun Dog Supply is the best company. They ship fast, and I never have had an issue! Way better than the roller buckle one that comes with Garmin collar. I can't rave enough about this company! The collars I ordered were to replace an old e-collar system. Living in Canada, I expected them to take a while to come, but I was wrong. The collars arrived in short time, and their customer service even called me to tell me they were reducing the original shipping cost to Canada. Great company and I would highly recommend ordering from them! These are great replacement straps. 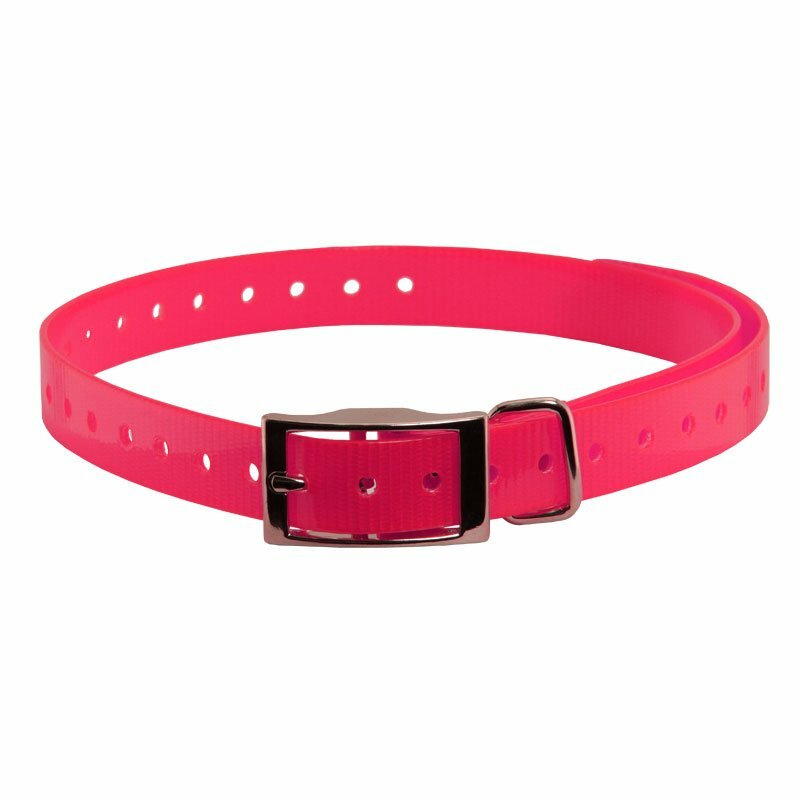 I have a Garmin Sport Pro e-collar and they are a perfect fit. I like the fact that you have color options since I train and hunt with several other handlers and their dogs. I can always identify my collar from the others by the strap. Love all the color's. Great product. Replacement for the one she chewed to pieces. High quality, identical to the one that came with my Garmin training collar. Very long so that it can be trimmed to length. 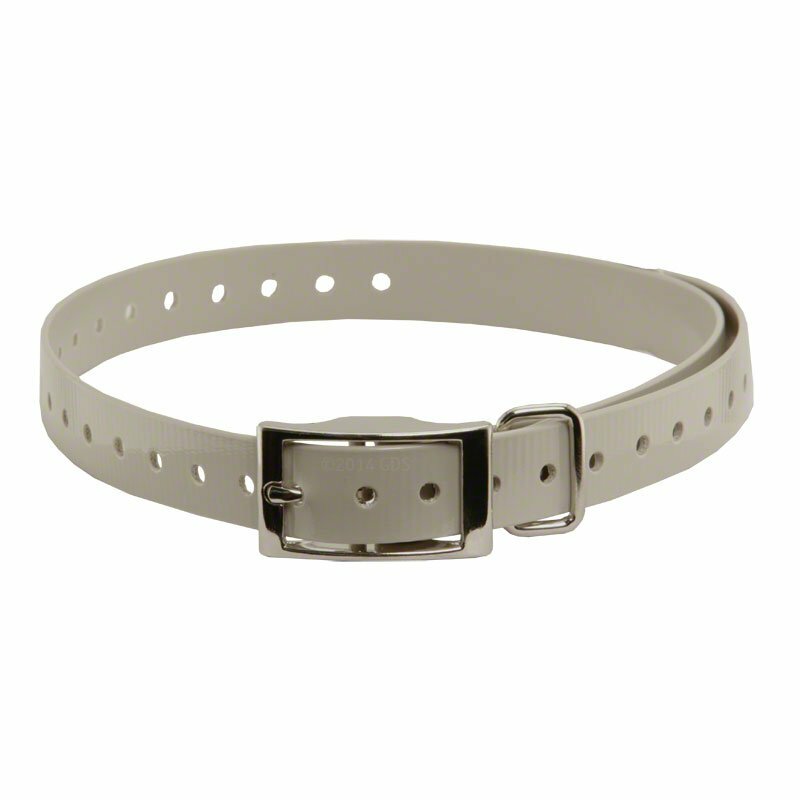 A great replacement collar. 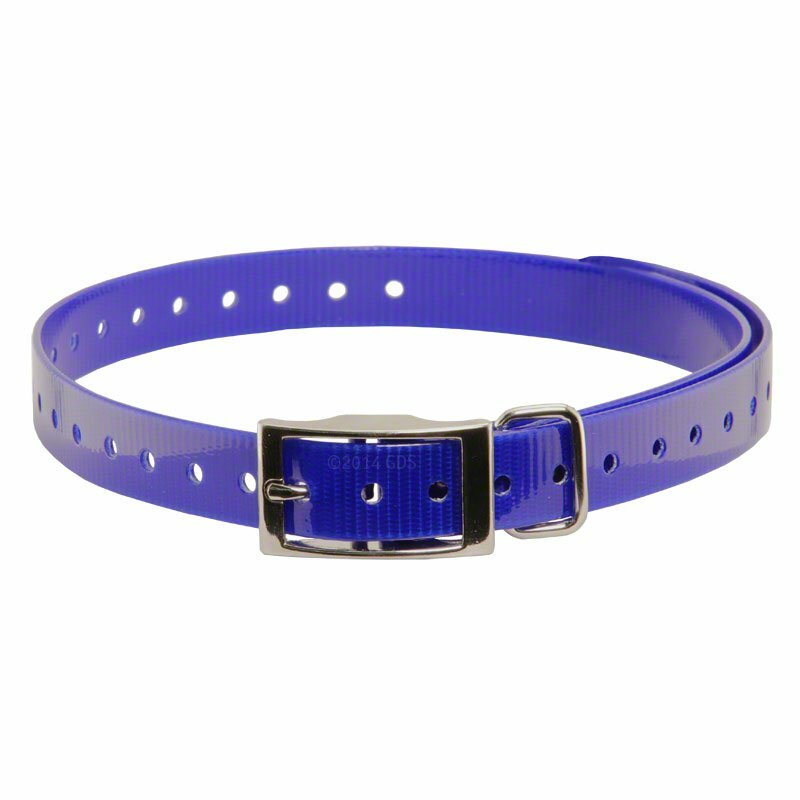 This doesn't come with all of the memory of the factory collar so I would recommend picking this up. I've already switched mine out!! Better buckle than the original on the Tri Tronics. Great and perfect fit. We have ordered from you before and will continue. Perfect size and fit. Speedy delivery. Exactly what I was looking for at the right price. The replacement collar strap is as good or better than the original. It is a great product. Fast shipping. Exactly what I needed! An excellent collar that fits exactly as advertised with my sport dog e-collar and provides a little extra visibility to my Vizsla. Solid build and good value. The color is more light green than yellow, making it even more visible to me. Highly recommended. 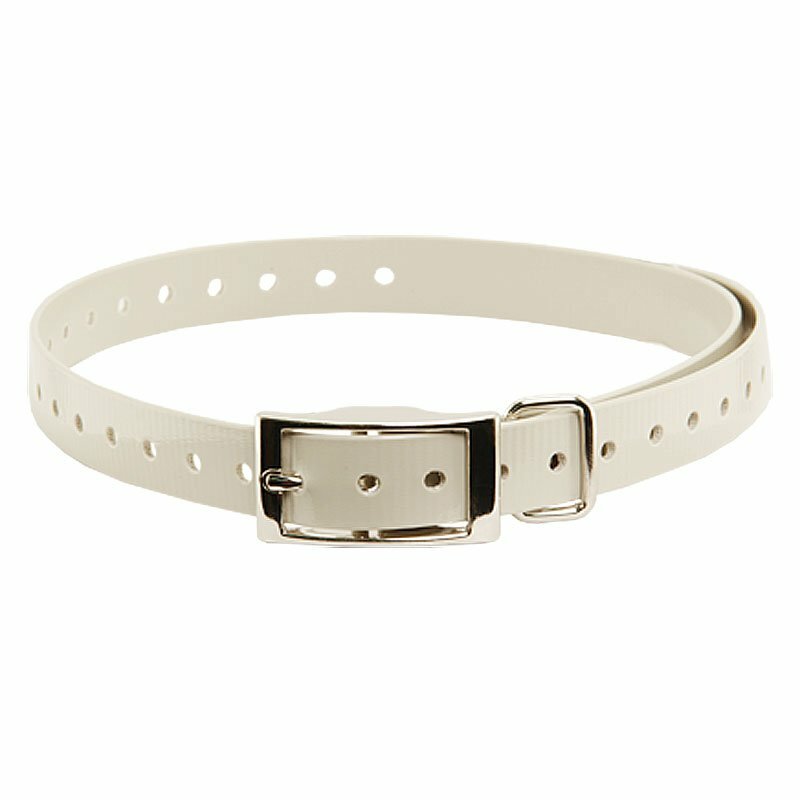 Love it as much as you could love a collar. 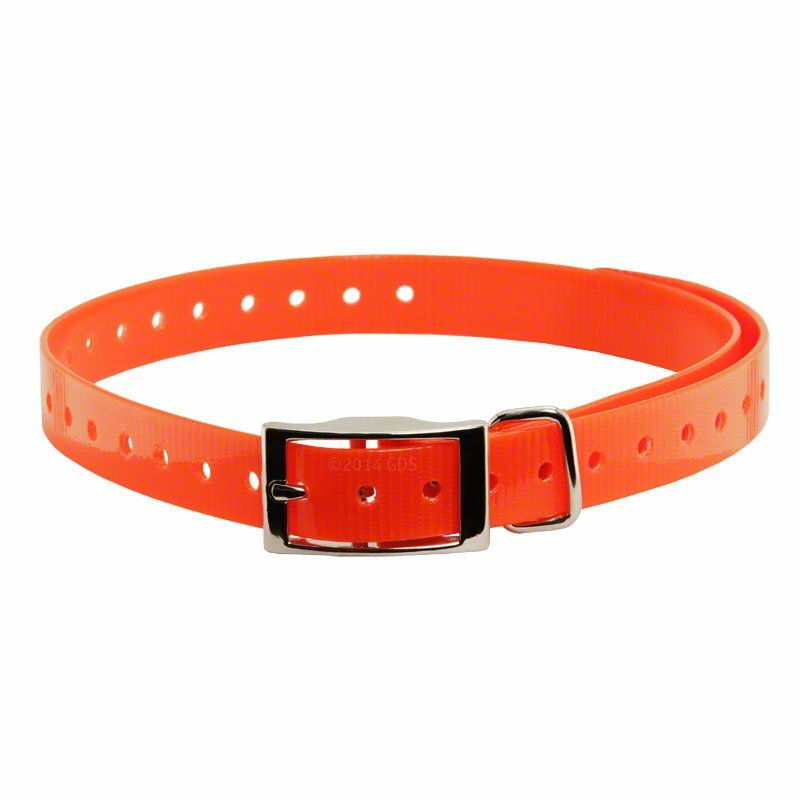 It fits collar and is bright orange. Replacement for original- plastic wears down very fast. Black dog approved and she loves the feel of it. "the best aspect is the smooth way it slides through the buckle"
the best aspect is the smooth way it slides through the buckle. 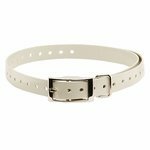 "These are the perfect replacement collar"
These are the perfect replacement collar for the current TriTronics bark collar. 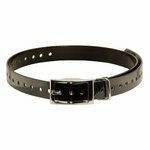 "This collar works out great and is HIGHLY visible"
"Good company to do business with." Can't get too excited about a replacement strap, but the Sporting Dog collar is outstanding. I let my dogs run free but always have control of them with the training collar. If your on the fence buy one. And if you buy one, buy it from Gun Dog Supply. Good company to do business with. 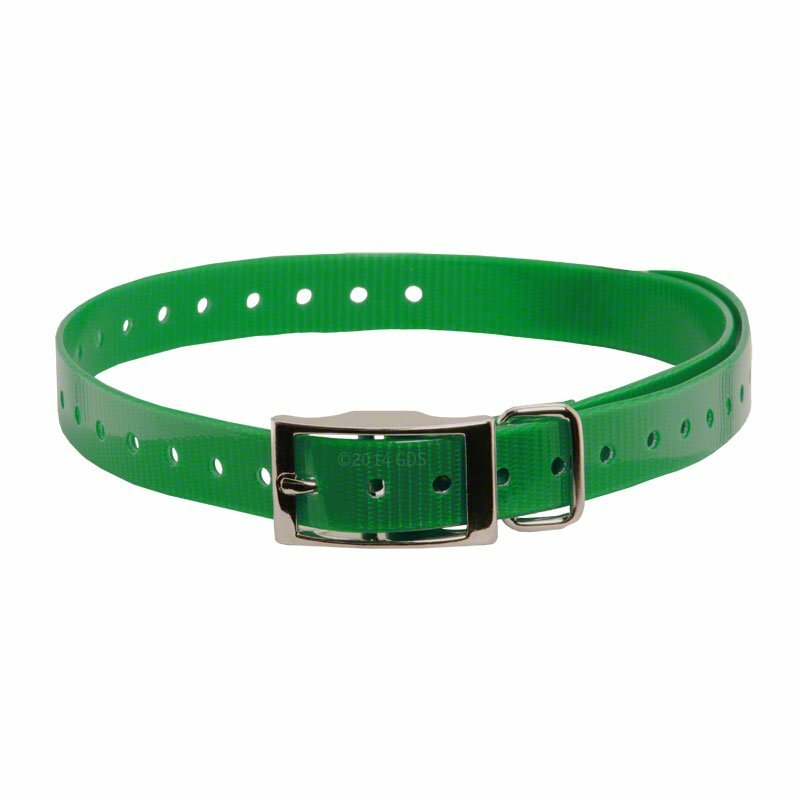 As previously mentioned when I ordered the collar, I purchased it for my bother in-laws dog. They original collar failed, and he was look for a replacement. I haven't heard any complaints from him. Certainly does the job. Easy to replace. Good price. Exactly what I wanted, and arrived quickly. "Exactly what I needed, and couldn't find in stores." Exactly what I needed, and couldn't find in stores. Gun Dog Supply shipped it out the next day. "Great collar. Everything I thought it would be." Great collar. Everything I thought it would be. 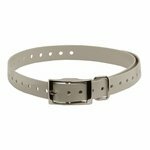 Lots of holes for great adjustment on any size dog. 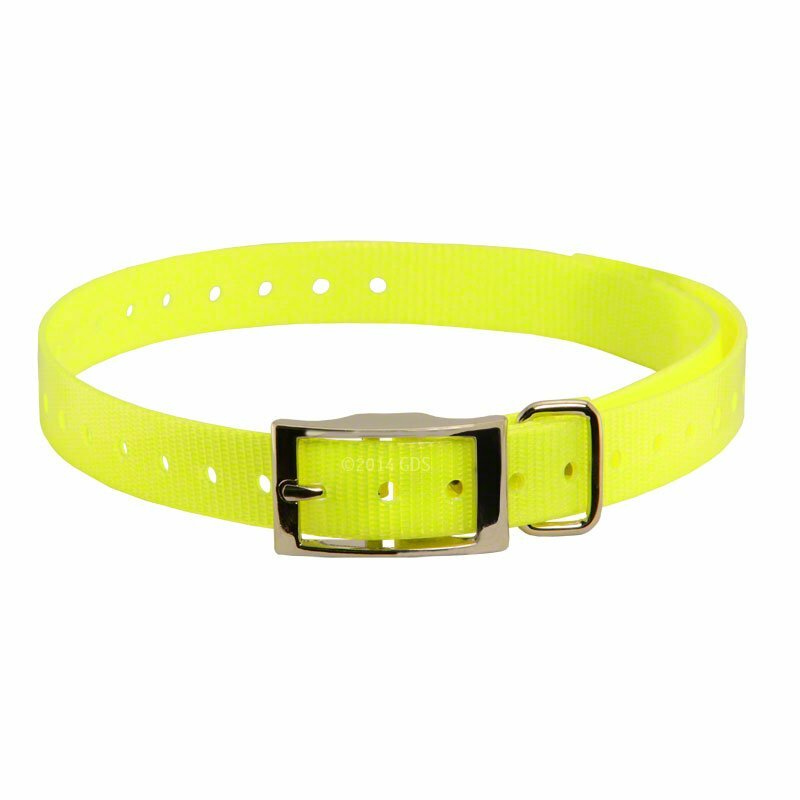 "Works perfect on the SportDog collar and so many BETTER options than they have." 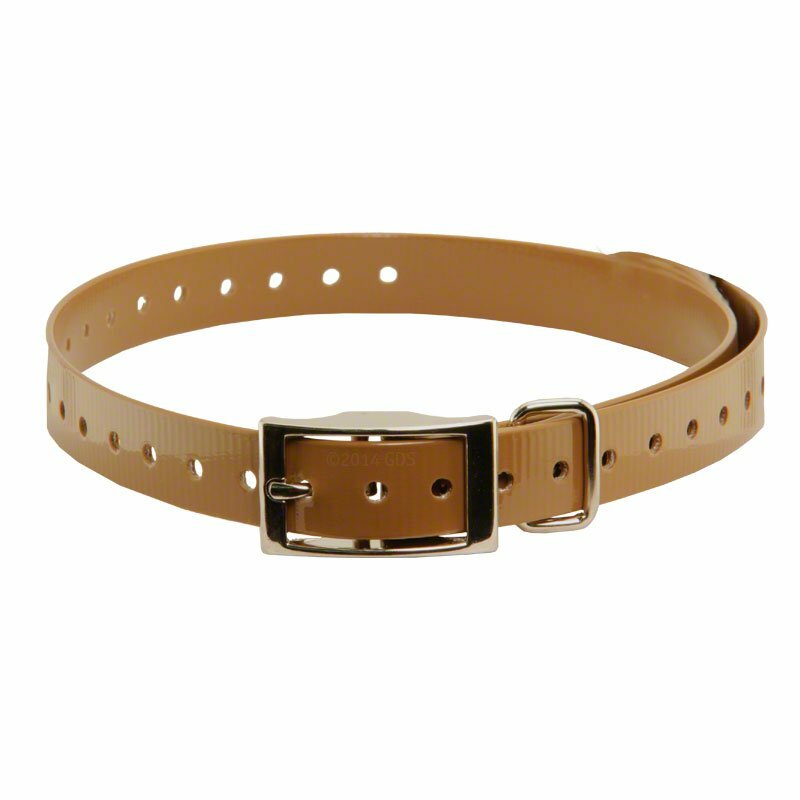 Works perfect on the SportDog collar and so many BETTER options than they have. Steve and his company ship FAST. Thank you! "Way better than the original." Way better than the original. I love it. Great color and great quality. We've only had the collar for a few weeks, but it looks like it's going to last. I cut the collar a little shorter, and I don't see any signs of fraying either. 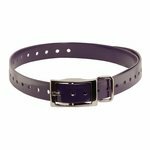 Collar of excellent quality and easy to buckle up. Super fast shipping and great pricing!! Look forward to all of my business in the future!! 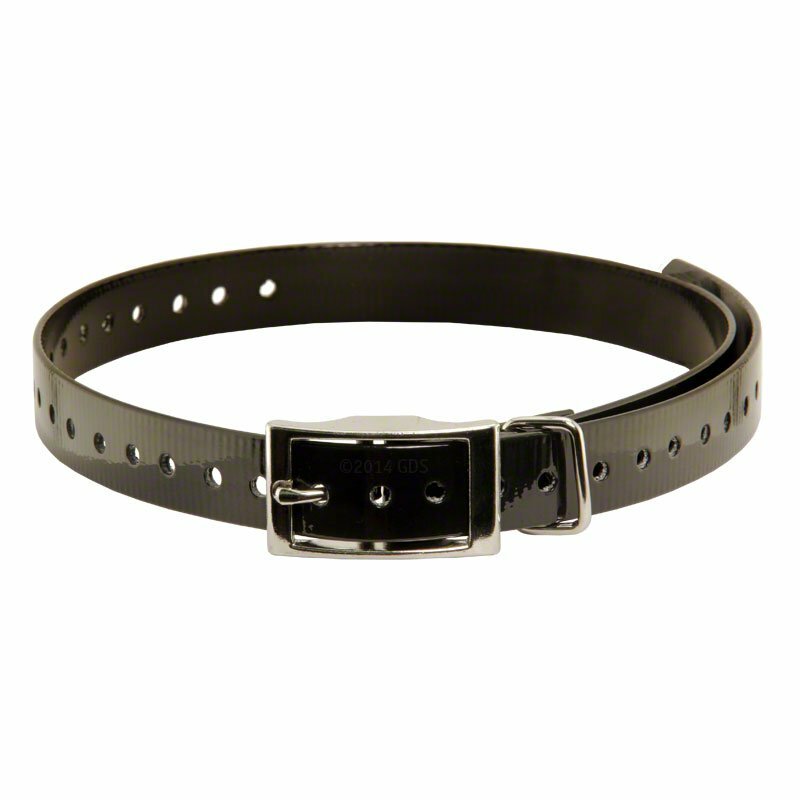 I like this collar much more than the original strap that came with Hank's Sportdog SR300. It seems to be more robust, was easy to install, and isn't as slick as the original strap, plus I prefer the bright, Hi-Viz yellow color. Collar works very well. Easy to get put on quick. "They fit in like a charm. Great!" Great. The Blue is a bit different from the original collar, but I like it better. They fit in like a charm. Great! Excellent. Quick delivery, considering it went snail mail. Glad I realised the mailing options eventually. Will definitely be ordering from you again. "Great replacement for my Garmin Ecollar." Great replacement for my Garmin Ecollar. Square buckle is much better than the buckle that comes with the Pro 550. No comment, it's just a collar. Great color and strength. Buckle seems a little flimsy, but is working great now. Don't know where my other collars came from, but I like them a little better because holes closer together. 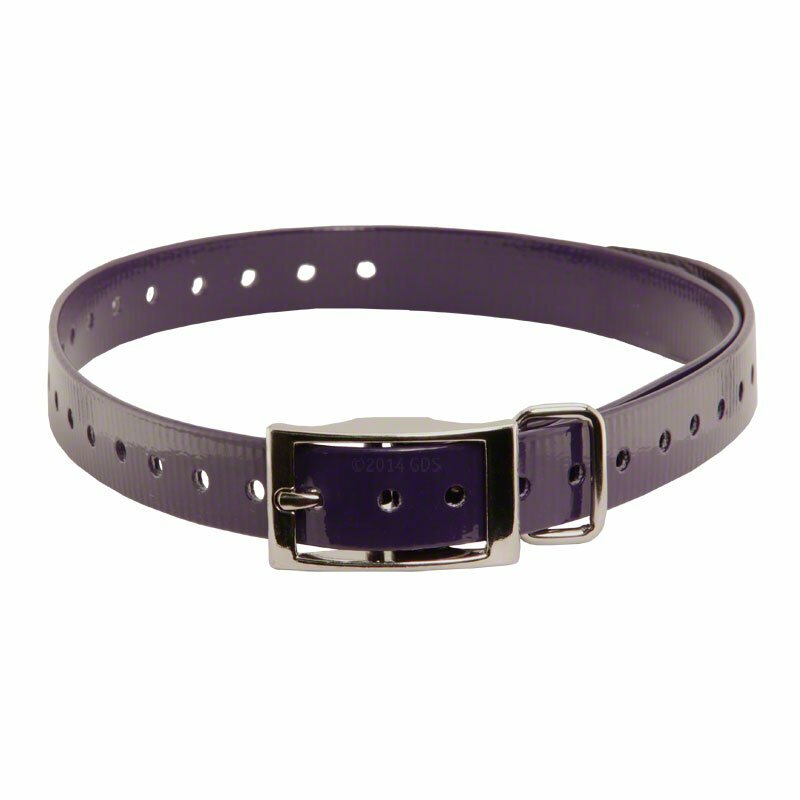 And maybe because of different buckle material, but my collars go on easier, not as sticky. The end keeps splitting apart. Need to find a better way to hold the end together longer. It's a lot stiffer than the original. It's tough to get on and seems a little easier to choke the dog. It is after 4 or 5 weeks starting to loosen some. We placed the receiver on the collar and I started noticing that the holes in the collar were stretching and getting bigger. My son not noticing, placed the collar on Zeke and ran some blinds in thick cover and he came out without the collar. We looked for 3 days and never found it. So now I have to buy and new receiver costing me over $170. Oh well I have vented knowing there is nothing that will be done. But the collar sucked. Replacement 3/4" square buckle collar straps for your dog training collar. 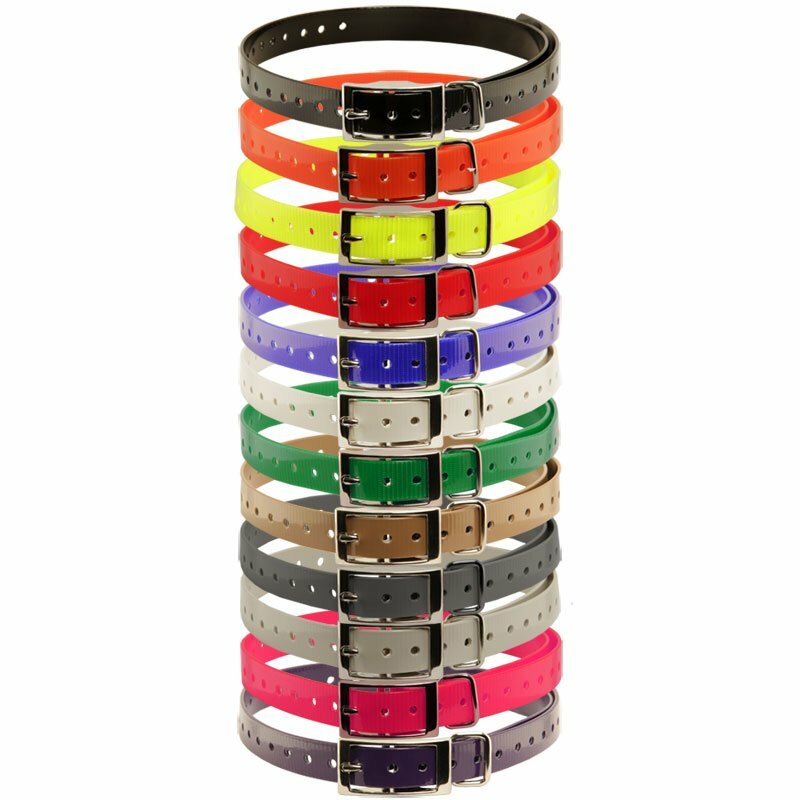 Available in Black, Orange, Yellow, Red, Blue, White, Green, Khaki, Silver, Gray, Pink and Violet.